Happy Friday, dear friends! Today we are making a special salad that I am sure you will love! I bet you will impress your guests if you make it! It combines wonderfully flavours and textures, it is wholesome, filling, healthy and above all very tasty! 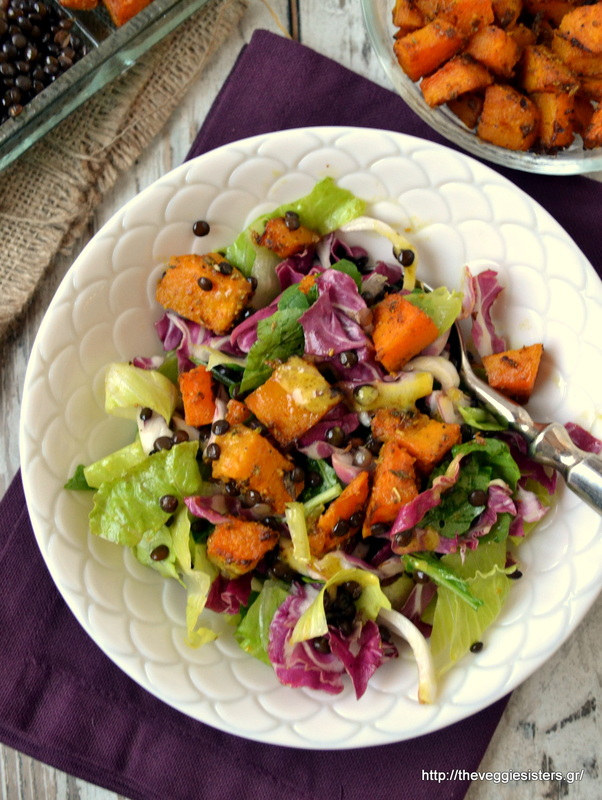 Leafy greens paired with spicy roasted butternut squash and lentils make a beautiful, colorful and delicious dish! Don’t forget to eat salads! They are good for you! Cook lentils and drain. Don’t overcook, they have to be al dente. In a bowl combine 2 Tbsp mustard with 2 Tbsp olive oil, 3 Tbsp lemon juice, smoked paprika, turmeric, garlic powder, dsalt, pepper and oregano. Place butternut squash cubes in a bowl and pour over the mixture. Mix until well coated. Lay them on a baking sheet lined with parchment paper and bake in preheated oven at 180C for about 45 minutes. Allow to cool. In a small bowl combine 2 Tbsp mustard, 4 Tbsp olive oil and 2 Tbsp lemon juice. 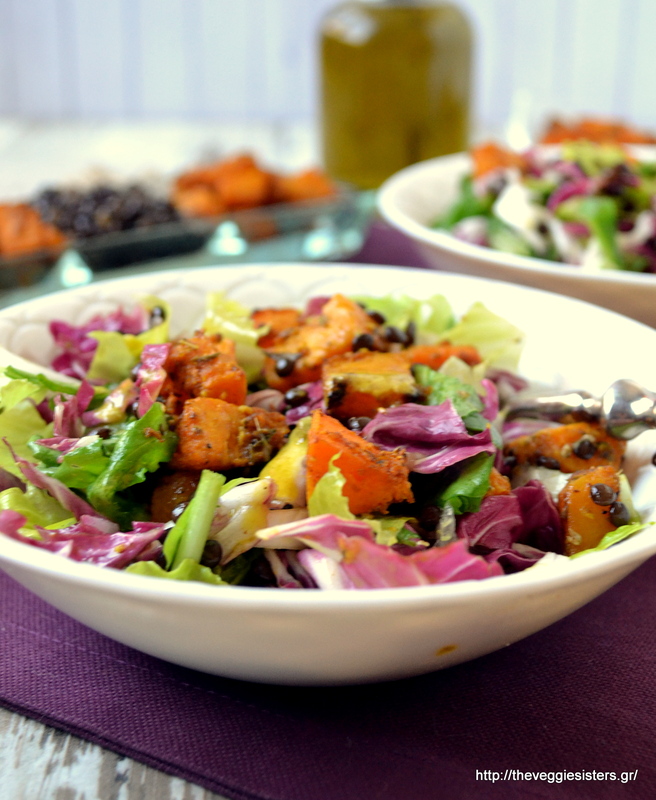 In a big bowl place leafy veggies, butternut squash and lentils. Pour over the dressing and stir to combine. Serve on a platter, sprinkle with oregano and freshly ground pepper. Enjoy! 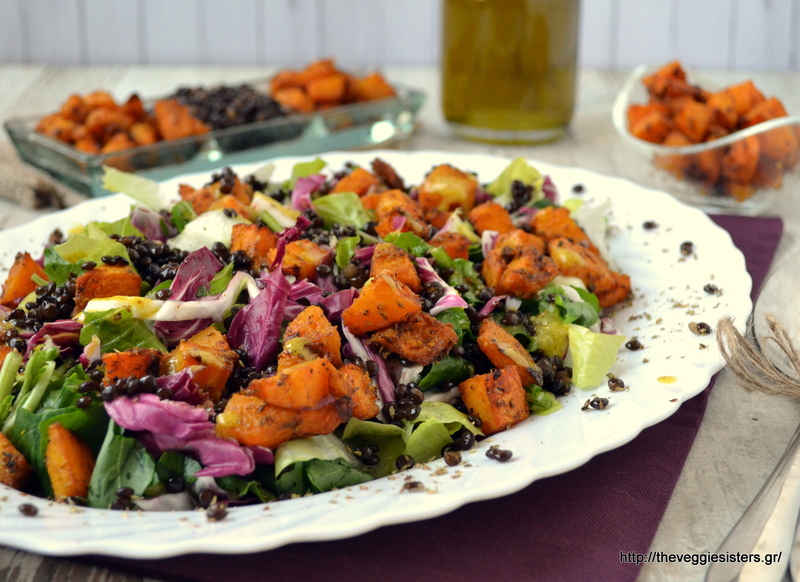 Share the post "Spicy roasted butternut squash lentil salad"